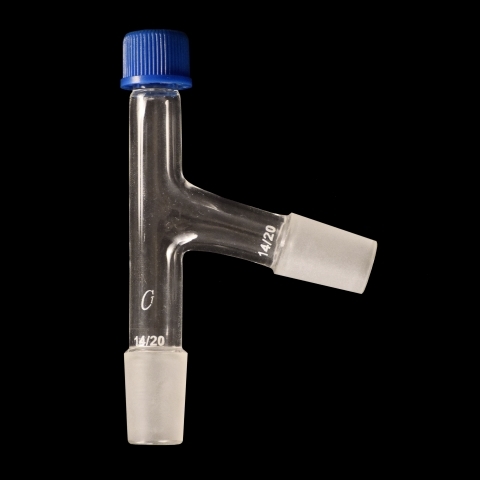 With a screw cap at the top for vacuum tight seal of plain stem thermometers. With the same size standard taper inner joints on the bottom and sidearm at a 75 degree angle to one another joint. Supplied complete with a screw cap and silicon O-ring. For replacement of screw cap and silicon O-ring, see AC-0003. Inner joints size 14/20. Thread size 7~8mm.